Do you have an active little girl who won’t leave the house unless she’s in a dress? Well, I DO! A dress doesn’t stop Natalie from flipping upside down at the park – that girl has no problem showing off her underwear (regardless how many times I tell her it’s wrong). 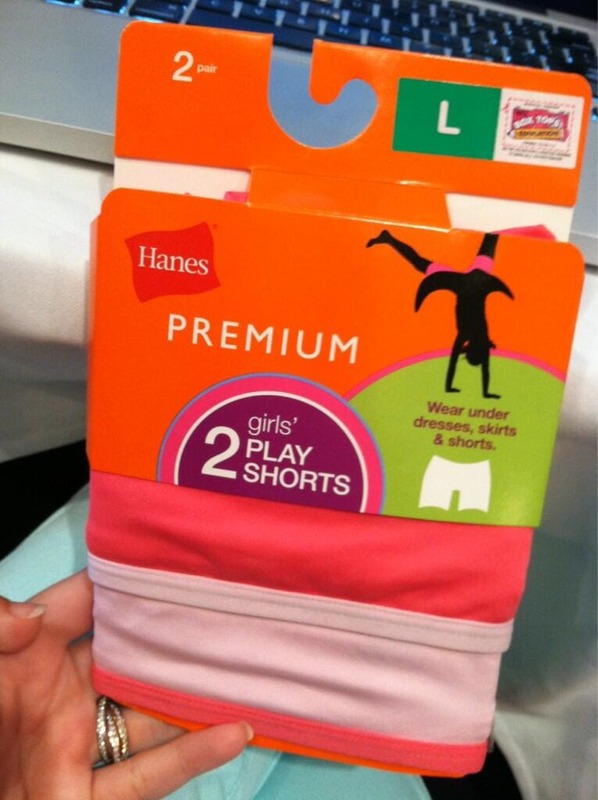 Hanes came out with Play Shorts! Cute little shorts that go under a girl’s dress to keep everything hidden as it should be. The synthetic fabric – unlike cotton – allows for her clothing to slide right over it. It’s super comfortable and a must own for all little girls. BONUS? Box Tops!! Earn money for your school with every purchase. I have an 11 yr old boy and I wish all parents of girl children would put these things on their kids before sending them to the playground in dresses! I can’t even find these on the Hanes website; where are they? I’ve been searching the world for these also. I found some at Target – very limited size selection – and can’t find them anywhere. I cannot find these anywhere! Please advise where to get them.